he’d felt something spike near the middle of his chest. a warmth seemed to be spreading in the centre of his throat. his eyes had gone still. she was standing there at the top of the stairs… stairs he had rushed up and down practically every day of his adult life… his stairs, dammit. and she was now there, adorned in layers of red that he had seen in his mind, felt in his gut, touched with his thought. she looked… he couldn’t complete the sentence. he had to swallow. and what was that stinging the back of his eyes? arnav singh raizada realised he could barely breathe as he stared at the woman in fiery red next to her sister who wore a resplendent lehenga choli in a deep shade of orange. the barest, faintest hint of a smile appeared at the corner of his lips. soon she would glide down those eighteen odd steps and walk up to him… his bride. beautiful in her shadi ka joda in the colour of blood, of sunsets and roses and flowers of deep lingering scent, the colour of, yes… an eyebrow lifted slightly, laughter sparkled in brown eyes… sharp red hot chillies. the colour of life itself. akash blinked and tried hard not to break into a broad smile, his heart was bursting with happiness. payal, the girl with large dark eyes he had seen in lucknow absolutely by chance one day and had not been able to forget. he’d never thought they’d meet again. how was it even possible? he had also not realised that he had actually fallen in love with her over memories that played in his mind again and again. as he saw her standing there, eyes cast down, shyly smiling, her veil graceful over her head, he wondered if he had just conjured her up with his dreams. he felt like humming a song softly to her from right there where he sat on his beaten repousse silver platform. he had a feeling though his mother wouldn’t approve. and she had had to contend with a wedding brought forward which she actually wanted never ever to happen. akash felt for his mother… he did understand what ailed her and yet he knew he had to not let it deter him. those dark eyes were true and real and meant for him… some day, he was sure his mother would realise that too and be happy for him. so he kept his desire in check, promising himself the first opportunity he had, he’d sing payal a song about her dark mysterious eyes. there was a hush in the air. the two young women were iridescent tonight, a picture so beautiful you didn’t even wish to speak. everyone was now waiting for the moment of arrival… that first step by the brides toward their handsome bridegrooms. “hain ji, aap ne kabhi aisi shadi dekhi hai ji, kinna handsome dulhein, kinni soni dulhanein, normally toh at weddings ji it’s hard to get even one party that is good looking shooking… par yahan, two two cuppuls and everyone beautiful ji… haye so beautiful, ” billo mausi was ecstatic, almost swooning with excitement as she clutched her husband’s arm tight and swayed and sighed and gushed in urgent whisper. jean pierre was standing with pam, sim and aman to one side, he had decided to give the quintessential indian garment, the dhoti, a try. when he’d mentioned this, kareena had been kind enough to offer the services of her father who was good with such things. her parents were visiting and she was sure her father wouldn’t mind helping him wear one. he had accepted the offer with alacrity. he was intrigued by the plain white simplicity and elegance of the kurta and dhoti, he’d wanted to try out the most classic silhouette, so khadi was what it had to be. when anjali saw him, she had clapped her hands in glee, “jean pierre, watch out… you look ready to be a bridegroom, you know… and maybe there’s a girl here…” she’d trailed off smiling suggestively. “gets marriage?” la had said sauntering up to them, “my french designer, you don’t have to get it… just get married… that’s all… got it?” she’d laughed at her own joke, hooked her arm through his and taken him for a tour of the place, explaining things. every once in a way he had craned his neck to see if he could catch sight of kareena. she hadn’t been there when he’d gone over to get his dhoti fixed. he had missed her. as kareena made her way to the staircase, he saw her… tip tilted nose, bright gleaming eyes, head of shiny bouncing curls, shiny cocoa skin. jp wondered if she’d come out with him for a drink afterwards. khushi had seen him the moment she stopped walking and stood next to payal. the large hallway and living room was full of people, flowers hung from several beams and corners, fairy lights cascaded here and there, everyone wore their finest and most dazzling, there was colour and distraction all around. but all she could see were startlingly gleaming brown eyes and a very handsome man sitting crosslegged on the floor in his grey suit and white shirt, his skin was bright and his hair shone, brushed back… she knew his stubble was perfectly groomed and a scent of crushed oranges and something she couldn’t quite identify but which made her want to go closer and inhale, clung to him. she’d never thought about it before, but suddenly now, here, standing on that step looking at the man she was about to marry, she realised she really liked the way he smelled. always fresh and then that something else. 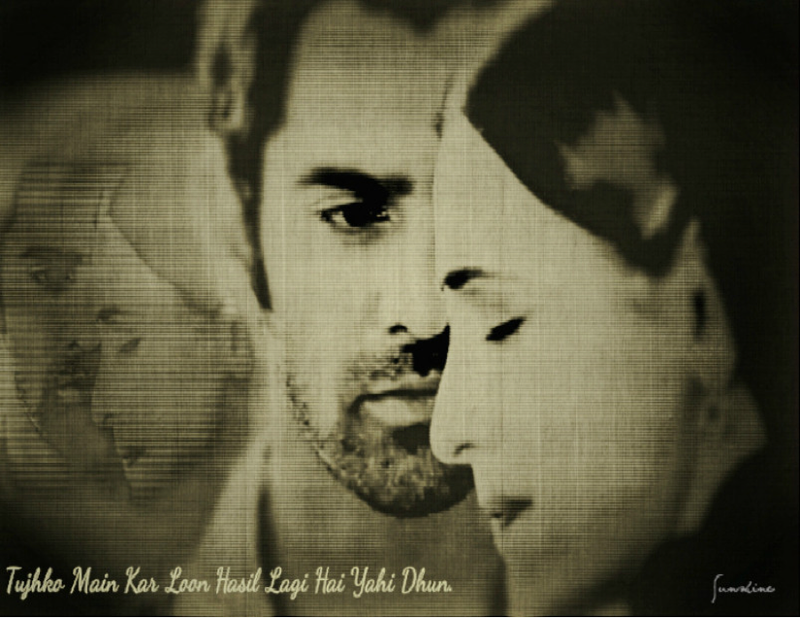 khushi inhaled, the air around seemed to rustle… she could feel his gaze on her, it had a warmth. payal had been looking down all the while, her cheeks were going hot, something trembled in her chest… she was getting married, now…the thought filled her and set up a buzz. “huh? no khushi, you go first…” payal demurred without even thinking. the entire shadi waited. the brides would come down any minute. no one noticed that one of the men had left his raised silver platform, slipped on his shoes and had started walking briskly toward the staircase. garima had just come up behind her daughters, she was to walk with them and take them all the way to the mandap. her heart was thudding fast, she had never thought she’d be seeing them off to the next stage of their lives on the very same evening… both her girls. her eyes welled up and she leaned close to whisper a blessing. garima couldn’t believe her ears… she was about to tell the girls to stop behaving like those men in that old joke who missed the train, trying to show their lucknowi sense of courtesy…but before she could say anything, she heard another voice. 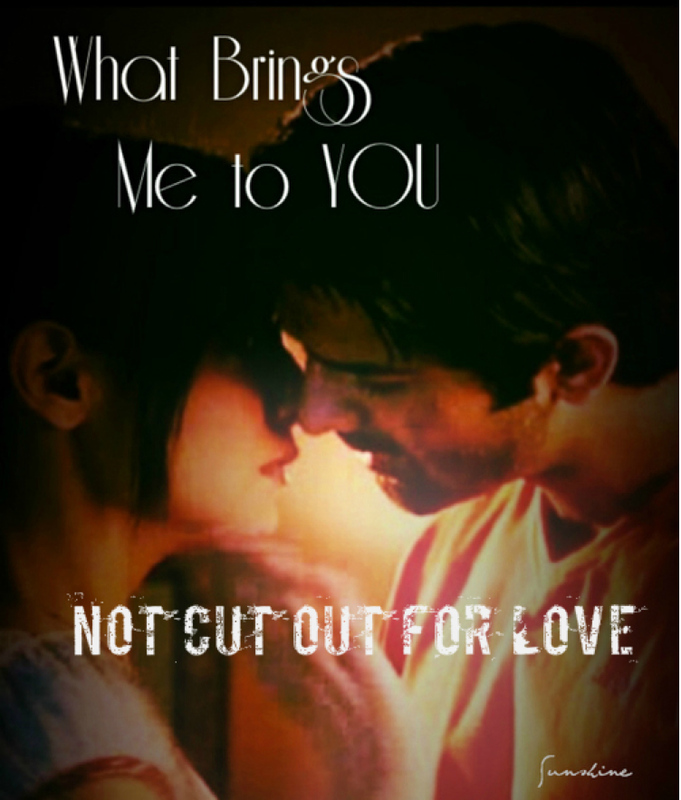 “tum kya kah rahi ho, khushi?” arnav singh raizada asked almost pleasantly. you could feel the incredulity mixed with impatience in his voice, there was a hint of grass and gossamer softness in it too. khushi turned to him, eyes widening. laad governor was standing right in front of her! on the step below.. he was no longer sitting out there in the mandap! and though he smiled, she could feel the raise of temper in him. “okay, no need to answer… come!” commanded the bridegroom peremptorily and simply reached out and caught hold of her hand and started walking down the steps without waiting for her answer. everyone watched, slightly shocked, yet a strange excitement hummed in the room. khushi went down a couple of steps with him then tried to hold back. how dare he, she thought… who does he think he is… jiji should have gone first, she’s older… and then she stopped thinking because asr turned around and picked her up coolly in his arms and continued on his way. a gasp was heard across the room. in the background floated the faint strains of shehnai… plaintive, a little mournful, a time of partings and meetings and all their sorrows and joys in its notes. payal took a step at last and followed demurely behind, garima ji at her side. kareena and salman smiled and winked looking at the man striding with his girl in his arms in front of them… mitali and manjuri ran to the front and threw pink, carmine and white frangipani flowers along the path. as the unconventional bridal party approached, the women from both sides, the brides’ and the grooms’, broke into involuntary ululating. the younger guests clapped and cheered. jp smiled politely and made a quick exit. he had a feeling he’d be leaving india perhaps not as free a man as he had come. billo mausi was laughing gleefully, head swaying as always, enjoying the goings on. “besharam?? toba toba, aap kya kah rahein hain, ji? besharam toh woh ladka hai… ye nahin! !” said his wife, jerking her head surreptitiously in akash’s direction. rajat ji looked at the shy young man sitting quietly in the mandap, smiling most amiably at the world around him and wondered what was wrong with his wife. “hayee, itna besharam he is,” billo ji continued, now a little dreamy, “he calls her sweetheart, you know… and she calls him same to same… hayeee… sweetheart… kinna sweet hai na??!! !” she pouted up at her husband and fluttered her non existent eyelashes. he felt his stomach rumble. it was time for jaimala, the exchanging of garlands. op and hp, dressed in smart white and gold churidar and achkan, came carrying large platters lofted high, two thick garlands made of pale pink rose petals with darker pink and tube rose highlights on each one. everyone gathered around and jostled to get a better view. even as the girls went to get their garlands, nk, jp, salman and aman appeared like genies and the next minute the bridegrooms were being lifted and raised, making it really hard for the brides to put those garlands on their husbands to be. the usual leg pulling and bargaining started. clearly anjali was leading this playful and much looked forward to game at weddings. khushi looked up and her eyes met a very amused chocolate gaze. she gritted her teeth, grabbed her garland and did a tiny skip and a leap managing to throw it over arnav ji’s head and the garland went and sat where it was meant to. she’d have clapped her hands in delight but fortunately she caught sight of amma just before that. amma was shaking her head, her eyes clearly telling her not to behave like that! at the nick of time, she remembered she was the bride and stood back, staring at her feet, now a little embarrassed. the exchanging of garlands progressed. aman nodded, he felt inordinately happy for his employer today, especially after the bride’s little manoeuvre, “yes, sir, everything is ready,” he replied quietly. sindoor to him was just a red powder that women put on their head along the parting once they’re married. it had no significance for him, it mattered little to him whether a woman wore it or not. he in fact had not even thought about it vis a vis khushi… or this evening. when the priest said in his sing song voice, “now the bridegroom will put the sindoor on his bride,” and di and mami came and covered khushi’s and payal’s heads with sarees from the bridegrooms’ side as was the custom, asr turned almost mechanically with the ring dipped in sindoor toward khushi. she was looking down. she barely moved. di was prying her mang teeka loose so he could put the sindoor. there was a funny stillness in the girl. it made him pause and frown a little. what the… and his eyes fell on her lips… it seemed to him for an instant, he was back in lucknow. in sheesh mahal. he was looking down at two frightened hazel eyes, below them trembled a pair of innocent pink lips. yes, her lips were not still. the slightest tremor in them. slowly he lifted his hand and let the ring touch the edge of her hair and moved it forward. a vivid streak of blazing red ran across the length of the parting, between her thick dark brown hair. 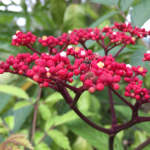 a little vermilion fell on her nose, powdery and light, glittering. blood red against ivory. a heart beat jumped. he wished he could just pick her up right now and leave this noisy place. her eyelids lifted just then, tears shimmered in her eyes, she bit her lips, then she smiled looking straight at him. arnav singh raizada couldn’t stop himself any longer. a teardrop fell, she moved her hand to brush it aside, the dark red ruby on her finger caught a shard of light and glinted deeply within. the women ululated vigorously and akash managed to stop his hands from shaking somehow as he put the sindoor on payal’s head. soon both the men were tying the necklace of gold and black beads, another auspicious sign of marriage, the mangalsutra, around their brides’ necks. only too happy to oblige, the girls turned their attention on him, in the bargain letting the priest have his share of petal shower. akash thanked her and wondered when lavanya would meet a partner she might want to live with longer than the next “hot,” as she called them, man. he knew she loved bhai in her own way… but he had a feeling she would find someone soon. she liked to have someone to spend the evening with, have some fun, someone who wouldn’t demand too much of her, someone who wouldn’t want to change her. yes, akash knew his friend well. she had grown up in a world that tried incessantly to mould and shape her and she always said, she just wanted to be who she was… good, bad indifferent. 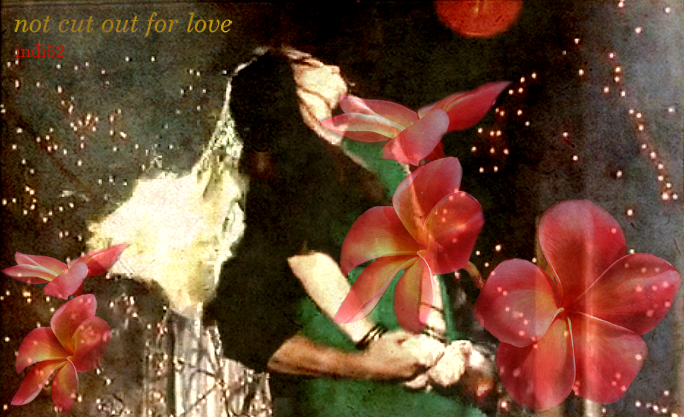 he got up and held his hand out to payal, at last he felt he could. payal looked up, smiled prettily and her tiny hand slipped into his. it was a miracle that the guests were not completely thrown by the sight of a dulha breaking into a bob marley song exactly at that very moment. instead, with a lot of care he helped her up and together, him in front for the first four rounds, they started the pheras ceremony, his scarf and her dupatta now knotted at one end. a unison had been sanctioned before god, fire, society. a nuptials blessed. asr walked behind, on his shoulder the cloth di had put so khushi’s dupatta could be tied to it. he knew without even turning to look at it, it was the white garad silk saree his mother wore at times for her prayers. di had folded it to a manageable length. he had noticed she was not wearing her mangalsutra. she had believed so deeply in shyam. in love… once again he wished he had been able to protect her from that betrayal, again he felt his lack of power, his wanting foresight… but she had surprised everyone with her strength. a little girl limping in front of him, ever since he had come to know this world. today she was making sure he had the most perfect wedding so that he may live with his life partner happily, thinking of every little thing she could think of that would make things meaningful. even for him, who didn’t really believe in such things, didn’t see the need for them. a tight smile flashed on his lips. he’d patted di’s hand as she stepped back after tying the knot. he worried about the fire of the havan. was it safe? both the girls were dressed in such flowing, floating clothes. 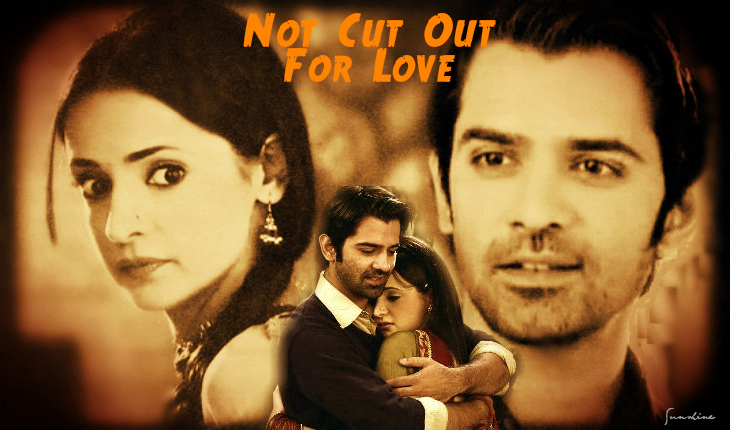 khushi gripped his hand tight and took the steps that she had always dreamed she would when she married. in so many movies and at all the weddings she’d attended growing up, this was the part she loved the most… and if the customs of those getting married didn’t call for it, she felt quite let down. why couldn’t everyone have pheras, devi maiyya? these were the moments when a man and a woman took their vows. to be part of each other’s lives, create a loving home and family, be responsible to the families and society, be faithful, love each other forever. so precious, so beautiful. khushi went slightly emotional as she always did, after all it was her wedding, she had every right to be a little sanki, crazy, as bua ji called it. she instinctively turned to look for her aunt and found her standing by the mandap, throwing flowers, weeping away. satisfied, khushi walked on. now she was asked to move to the front of the bridegroom. as she passed him, he pecked her ever so lightly on her left cheek, right by her eye. just like that. in the middle of the pheras. that was the first time he had called her by her name since the ceremony began. khushi took a deep breath and took her place before him. colour and happiness was everywhere as family and friends stood around showering the newlywed with fresh vibrant petals in many hues. the shehnai rose to a happy crescendo. the wedding was coming to an end, four people about to step onto a new path, a beginning. asr had insisted that the registration of the marriage happen alongside. and so straight after the ceremony, it was time for the legal part of the evening. the registrar was an elderly gent with a head full of silver hair. he gave a little sermon on the importance of marriage and then invited the couples to sign on their marriage certificates along with the witnesses. nani ji was witness for both the marriages. shashi ji, garima ji, masala mama and mama ji were the other witnesses. it was a fairly matter of fact process and everything moved briskly. khushi thought only a khdoos and overly unemotional arnav singh raizada could think of such things in the middle of such a blessed and auspicious occasion. his legally wedded wife. hah, it seems he wanted her to be that. he obviously had no idea that once devi maiyya had been witness… of course, amma had brought devi maiyaa with her to the mandap… and sindoor, mangalsutra and pheras were done, no worldly colourless joyless paper sanction was needed for a marriage… but still. she pushed aside the layers of dupatta and joda and picked up the simple black pen he handed her to sign her name on the certificate. his bold and quite illegible signature was already on the pale green paper. the “a” was large and slanting, the “s” too, she noted without really noticing. something in the letters seemed to call her. khushi blinked. this must be because she was hungry, she thought. amma had said brides don’t eat the whole day of the wedding, but for khushi’s sake, it was decided, no need to fast the whole day, just no food after lunch. it was almost nine in the evening now. she must be hallucinating and also that acidity. did she hear her laad governor sigh? or was it her dhakdhaks really and she had heard wrong? The magic +madness of a marriage scene is definitely a hit..Each one’s different thoughts the state of brides and grooms..haha..I wonder how one would stay normal in this chaos..haha..
Do you know how I love this man’s actions..It takes a lot of effort for someone to do the things his way..But he did that effortlessly..Doing things in his way without giving damn about others/rules is quite admirable for me..Maybe I love that more because he did what I can’t do/don’t do till now and that’s how I want me to take my responsibilities..
And I love reading the north indian wedding which I came to know by the serial..Some variation in rasams and actions but the meaning, ultimate goal stay the same for everything.. In my family Wedding usually takes place in morning (anytime between 6-12) as per the auspicious time in the day..And we do eat..no fasting..And the bride& groom hook the pinky fingers while rounding the fire..And we give more importance to the mangalsutra..I mean tying it is the main thing in a marriage..You can find some married woman without sindoor..but the mangalsutra is treated as a god..
what you say here… perhaps key to how we write, what makes us write so called “hero” characters. a lot of wish fulfillment there i think. our inner rebel, our desire to be more than what we think we are… maybe all of that is there when we create a character we can ultimately admire. while human beings are social creatures, we need each other, perhaps we are inherently individualistic? and so the rebel is so attractive, even to the most rule and norm following person?